Check-in is at 3:00pm and check-out is at 11:00am. A late check-out at 1:00pm is available at an additional charge. What time is breakfast served at? What's included in the Vitality Breakfast Buffet? Guests can choose from our substantial range of freshly prepared fruits, healthy cereals and grains, smoothies, eggs, and grilled traditional breakfast items. Our Vitality Buffet Breakfast also offers a selection of Gluten-Free treats and Soya Milk for guests with intolerances. Is breakfast included in the price of the room? We offer both a room only and a bed & breakfast rate on our hotel website. We also have a number of great offers available. Is there a restaurant on-site? Maldron Hotel Belfast City offers an onsite Grain & Grill restaurant. Food is served daily between 12pm and 9pm with a range of menu’s available including our popular £10 Lunch Menu, our evening A La Carte Menu and our special weekend Brunch Menu. What time does the restaurant serve food? Food is served daily between 12:00pm and 9:00pm. On Saturdays and Sundays, we offer a delicious brunch menu between 11:00am and 3:00pm. Does the restaurant have a children's menu? Yes, our Grain & Grill restaurant features a “Young Diners” menu for children aged 12 and under. Do you have a gluten-free menu? The hotel has a variety of gluten-free menu options, including a gluten-free section at breakfast. Is there room service available? Our Room Service Menu is available to all guests between 3pm and 1opm. Each bedroom contains a Room Service Menu and guests can place an order by calling “5007” from the in-room telephone. Are there gym or spa facilities available? No, Maldron Hotel Belfast City does not offer gym or spa facilities. 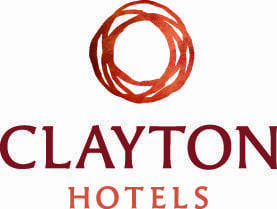 However, there is a Club Vitae available at our sister property – Clayton Hotel Belfast – less than a 10-minute walk from our hotel. Our guests can avail of discounted daily access rates on their arrival. Does the hotel have WiFi? Yes, complimentary WiFi is available throughout the hotel and in all bedrooms. Are there family rooms available? Yes, Maldron Hotel Belfast City offers 12 family rooms. All of our family rooms accommodate either 2 adults and 1 child or 2 adults and 2 children under the age of 12 years. Do you have inter-connecting rooms? Yes, the hotel has inter-connecting rooms. Please check availability with our reception team via email [email protected] or phone +44 (0)28 9600 1680. What amenities are available in the bedroom? All of our Deluxe Double, Twin, Family and Fully Accessible Bedrooms come equipped with tea and coffee making facilities, an iron and ironing board, a 43′ flat screen TV, an in-room safe, a hairdryer, essential toiletries and complimentary WiFi. Our Executive Suites pose an upgraded experience for our guests and offer the aforementioned amenities including pillow top super king-sized beds, fluffy bathrobes and slippers, a Bewley’s Espresso coffee machine, bottled water, complimentary luxurious toiletries and a complimentary morning newspaper delivery. Do the bedrooms have a shower or bath? Each of our bedrooms offer a dual function rain shower. Our family bedrooms offer both a shower and a bath. The fully accessible bedrooms offer a free-standing shower with the addition of a seat for ease of use. Are there disabled access bedrooms? Yes, Maldron Hotel Belfast City offers 12 fully accessible rooms. These rooms are available as inter-connecting suites & have fully adapted bathrooms for ease of use. Located in close proximity to the lift and with ample space, they are perfect for movement within the room. Is there on-site parking available? No, the hotel does not provide on-site parking. However, guests can park their cars at the Great Northern car park located on Hope Street, just a 2-minutes walk from the hotel. Our guests can avail of a discounted rate of £10 for 24 hours. Please note that the discounted rate is not applicable to parking payments made at the automatic pay stations and tickets must be validated at the hotel reception when leaving the car park. How close are public transport links to the hotel? Maldron Hotel Belfast City is centrally located in Belfast City with transport links at the doorstep. The Great Victoria Street Train and Bus Station is less than a 2-minute walk from the hotel, and George Best’s City Airport is less than a 15-minute drive away. Are there any overnight stay offers available? We have a number of different overnight stay offers available. For example our Friday Night Special for only £75 per person sharing includes: An overnight stay in one of our Deluxe Double or Twin Rooms, Bed & Breakfast with a late check-out, a two-course dinner and a glass of wine for 2 people in our Grain & Grill restaurant. This offer is available until 31st March 2019. 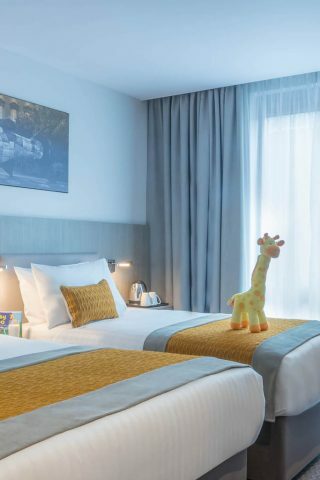 For families & friends alike our fully air-conditioned Deluxe Family Room has everything the Deluxe Double Room has to offer with the addition of either an extra double bed or an extra single bed. Ask about our adjoining rooms for those larger gatherings. 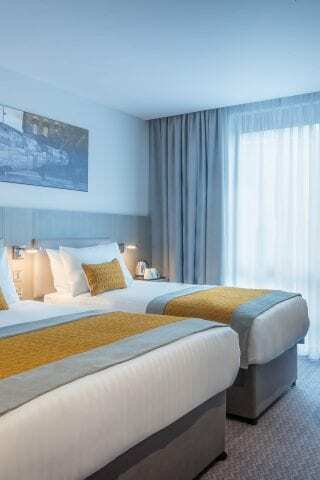 All Deluxe Family Rooms at Maldron Hotel Belfast City will accommodate either 2 adults and 1 child, or 2 adults and 2 children under the age of 12 years. Inter-connecting rooms are also available at this modern and comfortable hotel. Copyright © 2019 Dalata Hotel Group plc. Site by Granite. There has been an error and you have not been signed up to the newsletter. Please try again. If the problem persists, please contact us.